This is a great cooler. It doesn't block the first pcie slot and is very easy to install. I don't have air conditioning in my apartment so I only plan on overclocking when the weather gets cold. However, even after using prime 95 with a 10 percent overclock for 1 hour I never get delta temps more than 32-33 celsius compared to idle. I was a bit disappointed to only receive one fan with the cooler as the symmetrical version does come with 2 fans. 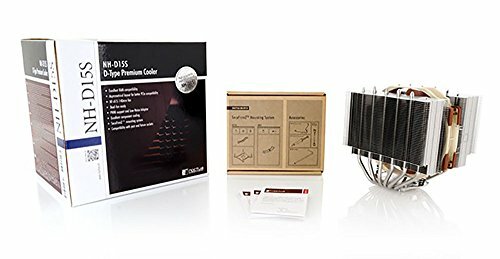 I did buy a 2nd fan just because I was curious nonetheless but it only improved temps by 2-3 degrees. What a beast! 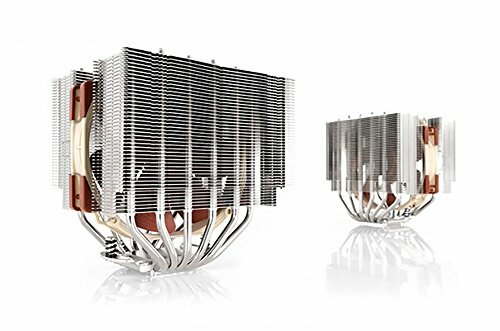 This CPU cooler is just monstruous in size and performance. I never had my CPU running at more than 68°C during Aida64 stress test. And the best part was that I could barely hear the fans spinning! Although it is massive, it remains very easy to install. Packaging has all you need and you can easily add/remove RAM even with the cooler in place. Keeps the CPU running cool with the same performance of an AIO liquid cooler, just wish Noctua fans could be standard in black. Also very quiet! from completed build The 3770K keeps on ticking build, socket 1155 and E-ATX woes overcome. The high compatibility upgrade to the NH-D15, changes are: Asymmetric (offset) base so no longer blocks first (top) PCIe slot; RAM cutouts on both sides for taller RAM. Single AF15 fan with clips supplied added second fan (NF12), which keeps noise level down on full load compared to single fan setup. 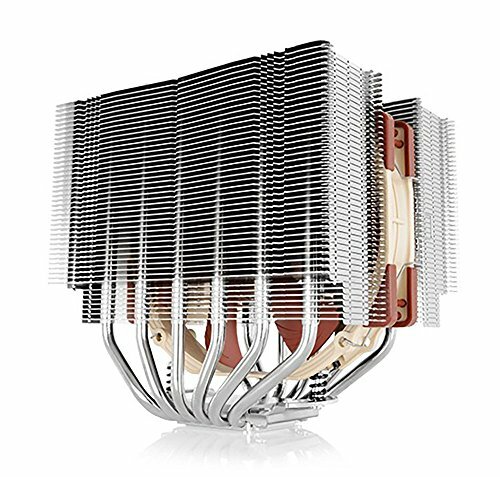 Notes: It's very big like almost 3 x a Cooler Master 212x so check it will fit being so big it cools very quietly. Fantastic cooling performance, pain in the *** to mount in tighter cases. Great choice for if you want the power of a D15 on smaller mATX motherboards. Compatible pretty much all RAM sizes and graphics cards, no matter which mobo you use. Just make sure you install it in the correct orientation to save yourself the stress of having to do everything twice.